Life insurance: you know that it’s something that you need sooner or later, but when do you really need life insurance? At what point in your life should you acquire life insurance to help protect your loved ones and pay for your final expenses in the event of your death? 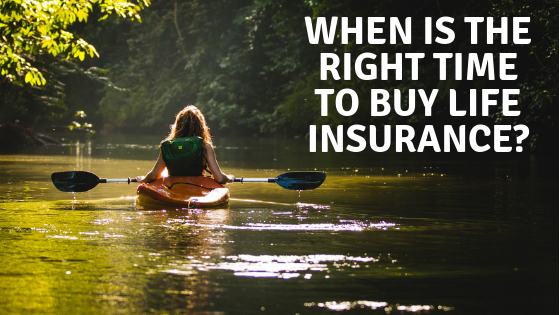 Knowing when to acquire this key type of insurance is critical to protecting your loved ones. The simple answer? Life insurance should be acquired as early in your adult life as possible. When you are younger, your monthly life insurance premiums are likely to be lower, and you can lock in those payments for the life of your policy. Many people make the mistake of waiting until they are older or they have significant health problems to make the choice to seek life insurance, but looking into a policy when you are young can make your premiums much lower as you age and your health declines. If you’re waiting for the perfect moment to seek life insurance, however, ask yourself some of these questions. Is there someone who depends on you for their financial stability? Once you’re married, for example, you and your spouse likely share the burden of handling your finances and paying your bills. When you have children, the financial responsibility only increases. Would your spouse be able to pay the bills without you if you were to die unexpectedly? Having a life insurance policy will provide some financial stability in the weeks and months immediately following your death, allowing your spouse to get their feet back under them and figure out what they need to do in order to provide for themselves or your family. It’s not just getting married that can increase your need for a life insurance policy. You might, for example, be caring for your elderly parents or a disabled loved one: a sibling who is unable to work, or an elderly aunt or uncle who is no longer able to provide for themselves. If you are the one taking care of finances for anyone in your life, it’s important that you take out a life insurance policy to provide financial protection in case you are no longer with them. This simple step can take a weight off of their shoulders and make it easier for them to move forward if something happens to you. Is there someone–or several someones–who rely on services or care that you provide? You might, for example, be responsible for providing care for aging parents at home or for caring for your children. In some cases, you might not even have a job that provides income for your family, but you do have a responsibility that they would have to pay for in your absence. In this case, a life insurance policy would help ensure that your spouse, children, or other loved ones could have that care even if something happened to you. Do you have significant debt? If you have significant debt in your life, from student loans to credit card debt, that burden may fall on your loved ones to pay if you die unexpectedly–especially if, for example, your parents cosigned on your student loans or you share debt with your spouse. When you have significant debt, taking out a life insurance policy that will help protect your loved ones and pay for those bills after you die will help ensure that the bills are taken care of and that your death doesn’t leave a heaping mess on the shoulders of people you care about. 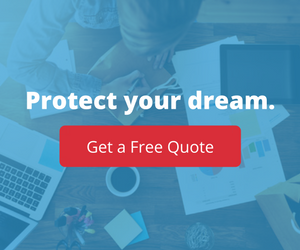 A life insurance policy isn’t a luxury, nor is it an unnecessary expense. Rather, it’s an investment in the futures of your loved ones–and one that will pay off if something happens to you. Do you need to take out a life insurance policy or need more information about its benefits? Contact us today to learn more about how we can help.